September in Brussels is Design September month! For the occasion, LKFF Art & Sculpture Projects is proud to collaborate with Ritter Studio and to setup it's 4th edition of "The Salon". Creating a live and warm environment where contemporary art meets design, the gallery morphs into a cosy living space offering a novel way to re-discover the gallery's main artists, such as Armen AGOP, Hanneke BEAUMONT, Sean HENRY, Markus HOFER, Les 2 GARCONS, Xavier LE NORMAND, Velasco VITALI... This 2017 edition will bring a special focus to Belgian photographer Henk VAN RENSBERGEN, to celebrate the release of his "No Man's Land", his new monograph published by Lannoo. On September 7th, during our cocktail opening, there will be a special book-signing session for the occasion. Don't miss it! A few art pics by the gallery, among its favorites! Inspired by the title of the sculpture she set up in Ganshoren (Brussels) in the year 2000, this exhibition illustrates how the themes portrayed by Beaumont resonate ever more in today’s society. A society where each day, the media raise our global level of anxiety through headlines of terror, refugee crisis, Brexit, US elections, etc. Reactions worldwide seem in endless contradiction, from understanding, openness and charity to withdrawal, closing doors and self-protection. How will our western society deal with the various global crises? How will it deal with fear and grief? How will it evolve? 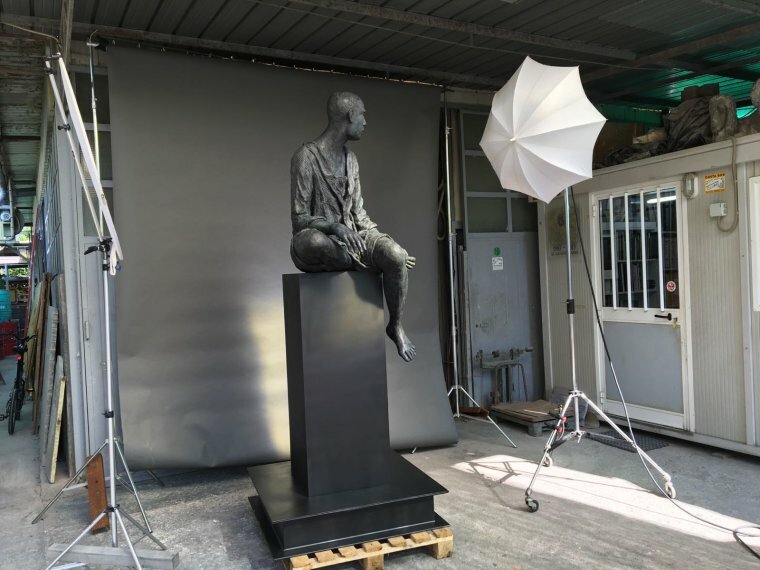 Hanneke Beaumont’s sculptures represent Man in the broader sense, in all of his humanity. In this respect, they also illustrate man’s vulnerability, fragility, fears and doubts. How to cope with the world we live in while preserving our inherited values but also a secure future, even when there seems to be a conflict between the two. 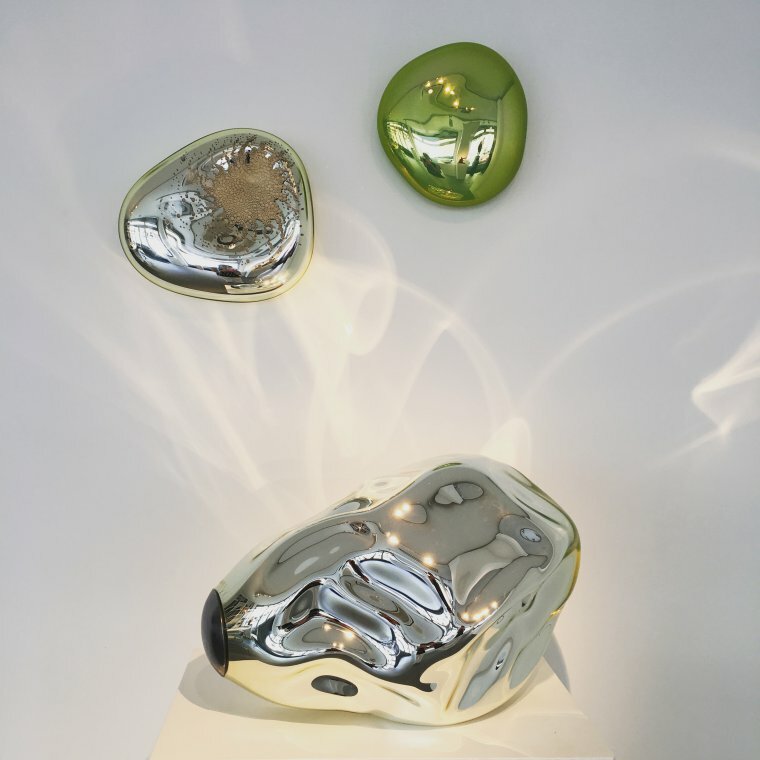 Two French artists, Xavier le Normand and Alice Pilastre, bring our attention to glass and ceramic arts in this new exhibition organised by LKFF Art & Sculpture Projects. With a special focus on the preciousness of our universe, their artworks express the beauty, the fragility and the mystery of the world we live in. Deux artistes français, Xavier le Normand et Alice Pilastre, mettent les arts du feu à l’honneur de cette nouvelle exposition à la galerie LKFF. Précieuses sont leurs oeuvres qui évoquent tour à tour notre univers dans toute sa beauté, sa fragilité et sa part de mystère. For the holiday season, LKFF Art & Sculpture Projects is proud to present a rather unusual group exhibition revolving around the animal world. While debates go strong around the Kyoto Treaty or the Paris Agreement, the artists of LKFF gallery give a voice to the animal kingdom, front line victim of human consumerism, with its impacts on climate and environment. The exhibition questions us, sometimes cynically, on our world’s evolution. In today’s ecological debacle, could we allow ourselves to dream for a brief moment of a world where nature rebels against its condition and fights back to regain control of its future? All artworks have a powerful message to convey: from the insect warriors of Tessa FARMER to the polar bear by DEUX GARCONS crying out for attention. The splendour of Robert GLEN’s animal bronzes invites us to admire nature in its purest representation while Alice PILASTRE’s fragile metaphors point to the urgency to react to protect it. The shadows cast by Arnaud RIVIEREN’s trophies lurk menacingly while confronting a caged egg, symbol of hope and renewal. On a lighter tone, Markus HOFER humorously plays with words but faces the diabolical creatures of Lucien MURAT. Natasja LEFEVRE sculpts boxing hares - fighting each other but perhaps their condition. Meanwhile, the stray dogs of Velasco VITALI observe the scene, silently anchored to the spot like old solemn wisemen. 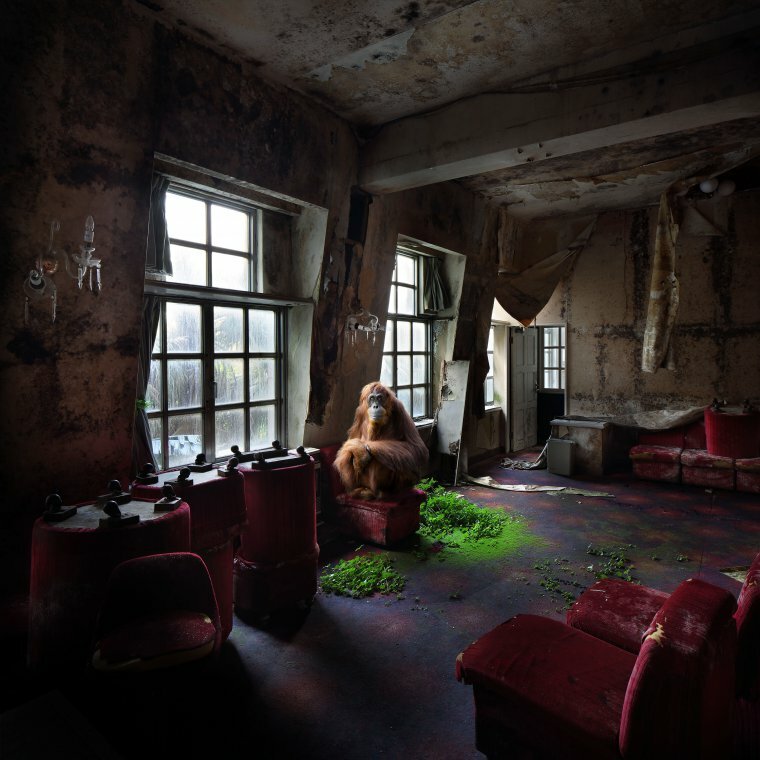 Guest artists of LKFF: Henk VAN RENSBERGEN will fascinate us with his strangely inhabitated urbex pictures while Jeroen LEMAITRE’s insects intereact in 3D with classic ancient still-lives. 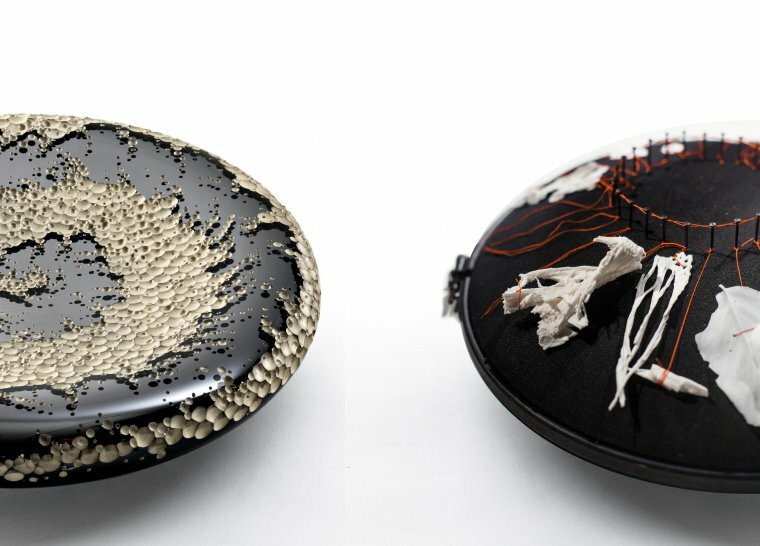 Taxidermy, bronze, textile, ceramic, iron, steel and mixed media... are all different media used to represent our fauna by artists with very diverse universes. Expect to be fascinated, surprised, amused or maybe shocked... but in any case touched by the show.